Glendale Area Schools Credit Union has endorsed Crescenta Valley Insurance, an independent insurance agency, to provide our members competitively priced Auto and Homeowner insurance. CVI has been providing insurance services to financial institutions throughout California, protecting over 10,000 policyholders with competitively priced insurance to fit their individual needs. CVI represents over 20 companies so that they can “shop” the competition to finance an insurance policy that meets your unique needs. I rent an apartment and don’t own a lot of property. Do I need renters insurance? Yes! Renters insurance will not only protect your personal property from theft or fire, but also covers you in the event you accidentally injure someone or damage their property. 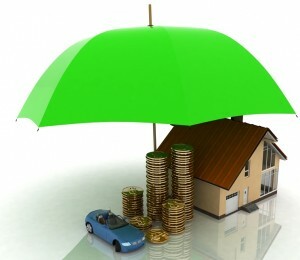 In addition, having both a renter and auto insurance policy may provide you significant discounts on both policies. I own some jewelry. Will my homeowners / renters policy cover the items? Maybe! Each policy has specific limits of coverage for jewelry items. Depending upon their value you will want to consider purchasing a jewelry floater that will fully insure the items. Give CVI a call at (818) 248-4500 and speak to one of our friendly, professional, licensed agents.